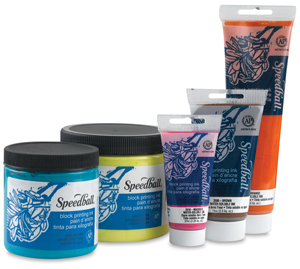 For school or studio block printing with linoleum, wood block, flexible vinyl plate, and polyfoam. Inks have excellent tack for uniform coverage. Clean-up with water.